The latest version of the leading package is a complete rework of the popular productivity software. It has been redesigned in the same vein as Windows 10. It is also changing the revenue model by using a subscription model where you pay annually rather than a pay once. We at Cotswold Computer Medic are pleased to demonstrate Office 2016 and talk you through the options and pricing. Whether for your home, business or mobile, ESET has the Anti Virus solution for you. 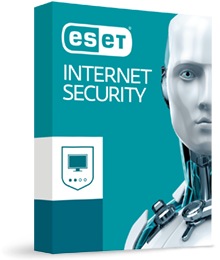 ESET is a class leading Anti Virus solution that is a Which Magazine “Best Buy” and can protect your desktop, laptop or mobile devices from viruses, proactive identity theft, privacy protection,etc. Solutions are available for all your needs and for as many machines / devices you wish. Visit Cotswold Computer Medic for a free demonstration and to discuss the best Anti Virus solution for you or your business.